landscapes & flowers, scenes from Italy, Mexico, New Orleans, San Francisco and other lovely spots. We specialize in house and garden portraits & offer unusual & reasonable gifts. 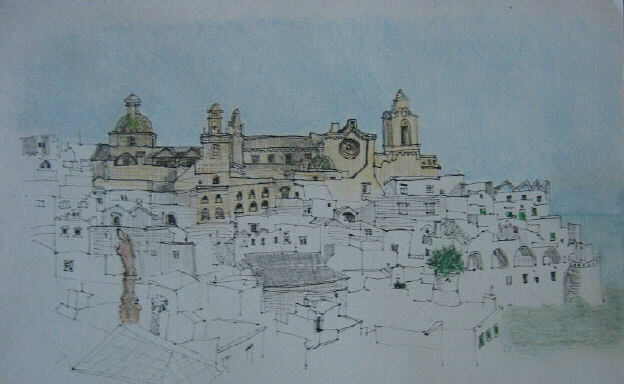 To enter the site, you may click on this image of Ostuni, the White City in Puglia and view the Gallery Guide. Or just click on the site navigation links on the left for the subject of your choice.